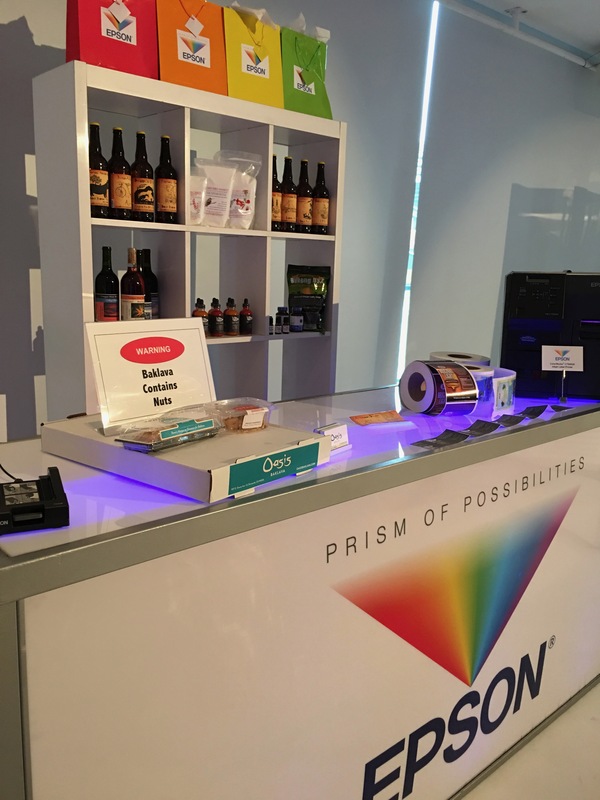 What's Happenin' at Epson's NYC Press Event | Industry Analysts, Inc. I spent the morning on July 25 in NYC at Epson’s annual press event, where they laid out What’s Happnenin’ with Epson for about 120 journalists and analysts over a three day period. The meetings were one-on-one and provided visitors with excellent individual access to Epson executives. I was there for a meeting and a tour of a few of the areas Epson was focusing on that day. Epson has been hosting this show in various cities for about 15 years, but this was the first time I’ve attended. My briefing had me seated with several Epson executives as well as Chris Strammiello, VP from Nuance. It wasn’t a coincidence that Chris was there as much of what we talked about was the global announcement made that morning that Epson was integrating Nuance into their MFPs and scanners. The agreement brings Equitrac snd eCopy products to Epson business inkjet models as well as OmniPage to Epson’s business scanner line. Epson will work with Nuance to educate dealers on these products. Epson had told me early on that first, they would build the device, then they would fill in an ecosystem of integrated partners that dealers have come to expect from their MFP vendors. This is that next phase as they are populating the portfolio of workflow and solutions offerings that work with their devices. In other news, the 100-PPM inkjet has started shipping. Epson has signed up a decent amount of dealers, but they wouldn’t share that number with me. If you haven’t seen it yet, the machine is pretty amazing, achieving blazing fast print speeds in a much more environmentally friendly device. They’re still actively looking for dealers. After the briefing, I took a quick tour around the space to see Epson’s wide format software and printers, projectors, scanners, fabric printing and robotics areas. Epson has a lot of products that fit nicely into the dealer pitch book, as well as some others that show Epson’s depth and level of innovation. The robotics arm they had set up was very cool and it’s apparently incredibly innovative because of its small size and range of motion. Epson is a leader in the development of precision robotics. It was a nice, quick visit with Epson. They’re moving forward with their business inkjet program and their partner offerings are coming along nicely. I appreciate the invite and definitely got the feeling Epson is extremely focused on this channel and working with copier dealers.